"Not only did it fool me the first time I saw it, but when I saw the method I realized that it was also SUPER PRACTICAL AND MOTIVATED!" 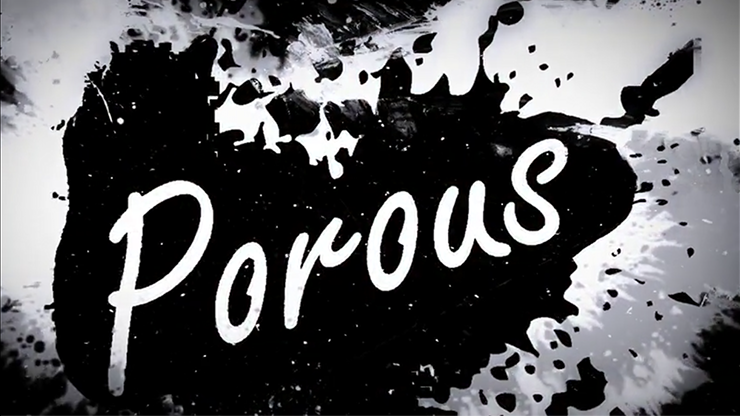 Porous gives you the ability to reveal a vanished Sharpie logo INSIDE a bill! This is a SUPER FUN routine with a KICKER ENDING that happens in the spectator's hands and leaves them with an AMAZING SOUVENIR!! Best of all, it uses a borrowed object, THEIR BILL! Plus, it also uses the Modern Magician's Wand, a Sharpie. It is something you already carry, so it takes up no extra space. The revelation can be accomplished with a cell phone or natural sunlight, so you're good to go at any time throughout the day. Multiple handlings included, as well as a BONUS ROUTINE that leaves your spectator with 2 IMPOSSIBLE souvenirs! Everything included so you will be able to perform Porous OVER AND OVER!